Vessels and containers with intense figure and tiny “eyes” are made from burls. 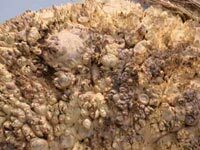 A burl is one of nature’s mysterious creations; we aren’t really sure what makes burls grow, or why some trees develop burls and others don’t. A burl can be a lumpy round growth on the trunk of a tree, or the root just below ground. Boxelder, Aspen, and Elm are trunk burls that I sometimes find in Colorado. Maple is also a trunk burl.Most of the maple burl that I use comes from Oregon and the Pacific Coast. These burls can get quite large, sometimes weighing over 1000 pounds! 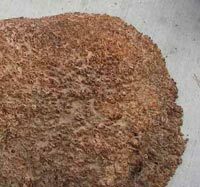 Maple burl is fairly soft and is delightful to work with. …And what amazing texture! Some of the most interesting Burls are the Eucalyptus from Australia. There are hundreds of species of species of these trees, growing all over the continent. These Burls are cut off the trunk, leaving the tree alive to grow another Burl for the next generation of woodturners. Amboyna Burl, one of the world’s rarest and most beautiful burls, is a trunk burl from the Padauk or the Narra tree. Although the trees are plentiful in Southeast Asia, very few burls grow. This wood turns nicely, and has a sweet fragrance as it’s being cut. 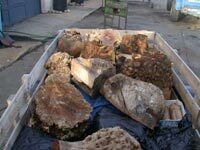 I acquire burls and exotic woods from dealers and from trades with other woodturners. I’m always on the lookout for exceptional pieces of wood for my containers and vessels.